I went to the laundry room and put my shirt into the washing machine. Damnit. How do I work this thing? I tried twisting some handles but all it did was make the machine go beep beep. "Need help?" Jimin popped his head into the room. I nodded shyly. I stared at him as he turned the handles, pushed some buttons, and threw my top into the washer. Somehow, he looked manly. After that, Jimin and I ate some snacks while trying to find a movie to watch. "Down the hallway, last door on the left." I said, placing a chip into my mouth. While he was in there, his phone got a message. Message: aLiEn TaE - YO BOI. What do u wanna do on ur bday this Saturday? Ohmygosh. I need to prepare something for him! Should I reply to this text..? No..that wouldn&apos;t be right. I&apos;ll see if I can meet some people around school. Jimin came back from the washroom. "Have you chose a movie yet?" He asked. "No, but you got a message." I said, pointing to his phone. "Oh thanks." He read it and replied quickly. "Sorry.... It&apos;s just a friend." Jimin said. "Do I know them?" I asked. Hopefully He&apos;ll introduce me to them so that we can plan something for his birthday. "Well I was going to introduce you guys today but...Wait, I&apos;ll add you to our group chat. Kathy&apos;s already in it." He said. You have just been invited to a group chat. Tae: Oh is this y/n?! HELLO! Kathy: AY! Y/n is finally here! Jin: STOP SPAMMING GUYS! Do something more useful! I laughed. "They seem like a fun bunch." 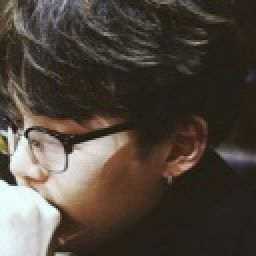 I looked at Jimin. "Don&apos;t get me started." He said. So instead of watching a movie, we ended up chatting in the group chat. It was really fun. Although I didn&apos;t get to see their faces yet. Jimin ended up staying over since it was SUPER late. "I&apos;ll just take the couch." 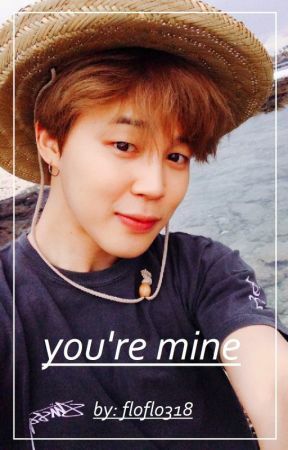 Jimin said. "Argh. I&apos;ll feel bad...I&apos;ll just lend you my room. Come on." "No. I can&apos;t possibly entered a girl&apos;s room like that." I stared at him and gave him the seriously? look. "Okay fine. But if your back starts hurting or you get arthritis, it&apos;s all your fault." I said, surrendering. I went upstairs and got a blanket and pillow for him. By the time I got back down, he was already asleep. Aish this guy. And I carefully laid the blanket on top of him. I looked at the clock. 12:25. Better hurry up. I quickly cleared the coffee table and put the dirty dishes in the sink. I&apos;ll just do them tomorrow when I get back home. I ran upstairs (making sure that a I didn&apos;t crest too much of a noise) and changed my clothes before going to sleep.